New to the Reliance standard product range of precision parts and components is the RSKPK bar clutch shaft coupling. This is a rotary motion transfer solution for mechanical design engineers requiring a cost effective, electrically insulated and maintenance free coupling which has good resistance to many invasive solvents and chemicals. The reinforced 6-6 polyamide connecting element provides excellent damping of vibration and shock. The aluminium hubs are anodised and protect from corrosion. Available in bore sizes from 6mm to 10mm, couplings come supplied with screws manufactured to DIN 912. The slot design compensates for misalignment in applications where radial, lateral and angular offsets may occur. This RoHS compliant part functions within a recommended temperature range of -10°C to +80°C. 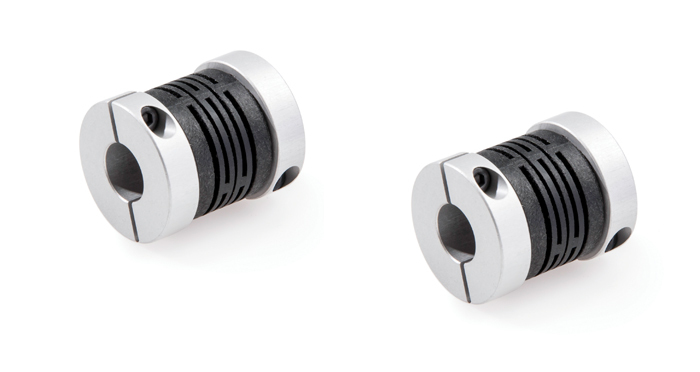 Bar clutch shaft couplings are suitable for use in a wide variety of mechatronic and mechanical assemblies and will shortly be available from the Reliance online store.